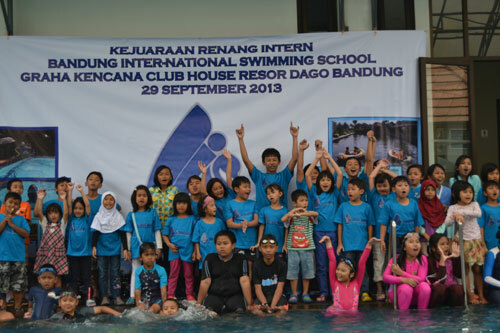 Home / Catatan Pelatih / Kesehatan Air / Kursus Renang / Psikologi Renang / Teori Renang / Why is Swimming so Important? Swimming is a sport that is healthful and refreshing because it is done in aqueous media. This sport is suitable for anyone because according to research from Australia advised from the start children aged 3 months and older. This exercise is always recommended by experts in the field of health or doctor because a lot of benefits both for the development of psychological and physical. According Badruzaman (2007: 13), he argued that: "Swimming is the method by the which humans (or other animals) Themselves move through the water." It means a person or an animal methods are used to move the body in the water. Badruzaman conclude about the definition of the pool is a human or an animal carried in water, either in pools, rivers, lakes, and oceans, by trying to lift his body to float in order to be able to breathe and move either forward or backward. Based on the above definition, the definition of swimming is a sport in the water by humans, from the age of 2 weeks after birth until age by moving his limbs to create a rotating, forward, or make a retreat of his body even makes body remains stationary at the time of movement or so that the body does not float, float and dive for the purposes of health, therapy, rerekreasi, education, the basis for other water sports, or to get achievements in a way that is programmed exercise, planned, progressive, and well trained. Outdoor sports have great benefits for our bodies. Maybe this time we often feel the weather was so hot and sting once. Which is one of the alternatives that can be done is to swim because we swim can relieve the heat in the body, but it also can be the body healthy and fit. Pool beneficial for the body because it can improve the quality of heart and circulatory us. As we know that our body organs, namely the heart is an organ that is extremely important. The heart is an organ that pumps blood to flow throughout the body, so we swam with the heart we will be good quality, which can function to transport blood finally saris makanaan and oxygen, resulting in the combustion process in our bodies. Which can ultimately produce the energy we need to move perform daily activities. In addition to providing benefits for the heart, by doing an outdoor activity, can provide great benefits to improve vital capacity lungs in the body. Where own lungs to take the oxygen function is indispensable in the process of oxidation (burning). We swam with it will train the work of the lungs. So the ability of the lungs to pick up more oxygen, and eventually be able to meet the needs of oxygen in our bodies. So with the fulfillment of the oxygen combustion process in the body to be smooth and energy required can be met. With our swimming can affect muscle, because the swim we will automatically do the movements performed by the body, where the swim there will be muscle movement dynamic so that the movement that was done in this pool can make muscle fibers that die become active again and grow strong. Which ultimately those of us who want to have muscles containing and crave ideal body proportions will become a reality by doing outdoor sports. Never be afraid to swim because we try to learn to swim by swimming body to be fit, and swimming also has many health benefits. But we must note also let swim properly. If it was just playing around with the water is fun, but it only involves physical activity is very low. We recommend that those of you who are learning to swim accompanied by coaches or people who are already experts swim so that the various possibilities that will occur as one movement that causes muscle cramps because of lack of heating or setting our breath when in the water is not good that eventually sunk. In addition we have to consider is the security of the pool, and pay attention to water quality such as clarity, degree-acidity (PH), bitter taste or neutral, pungent odor due to the influence of drugs and even pollution that are in place we swim instead of us healthy even the presence of these pollutants can harm our health.